Looking for awesome, unique Hens Party Ideas with Freebies and VIP treatment? Epic Holidays arranges awesome hens activities and packages. If your group is about to lose one of the girls, the least you can do is send her off with a bang and give her a hens do to remember. 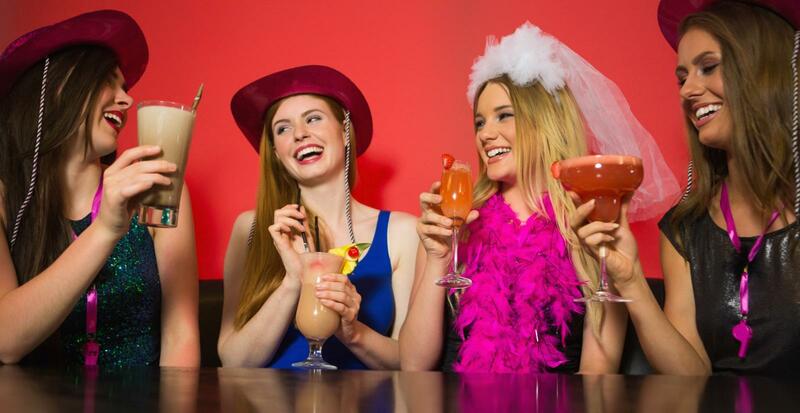 We specialize in organizing the best hens night party packages full of fun activities, entertainment, and pampering, so you know that we will plan a hen do you’ll talk about for years. We have over 10 years of experience organizing hens parties, so we’ll tailor your hen party experience to meet your budget and fill it with action-packed activities, VIP club entries and party packages. We arrange everything from flights, accommodation, activities and transfers and have an exciting and enthralling range of packages just waiting for you. We can even arrange a male stripper, VIP nightclub entry, a limo tour, boat party or pub crawl for when the sun goes down. The best thing about Epic Holidays is that have local contacts in all the best party destinations so we know how to pull out all the stops and give you exactly what you are looking for. Don't hesitate to get in contact and one of our friendly staff will follow up and help plan a great experience and hunt down the best deals. How to plan a Hens party? Planning a hen party can be pretty stressful – particularly if you have never planned a large event before so here are our top tips to decide on the best hens party ideas. If you have been tasked with planning your best friends hen party then the first thing you need to do is talk to her. You might want to keep some of the celebrations a surprise but it’s important to at least have a rough idea of what she is expecting. Take a look at the questions below that will help you plan the perfect do for your best friend. Some brides would love the idea of a hen party somewhere overseas but it can be expensive so fewer people will make it. Others would much rather something more local. See what the bride would like to do – it doesn’t have to spoil the surprise! This is something you will need to ask the whole group but the hen will probably be able to give you a rough idea of what the budget will be. Go through is likely to come and what everyone can afford over a coffee and cake. Check in case the bride has anything that is her idea of a nightmare! If she’s really not an adrenaline junkie then perhaps steer away from a bungy jump, lol.! See if the bride has any favourite places that she would really like to visit and ask the group for any hens party ideas she might have in mind. You may end up restricted by budget but first see what the bride expects – if she only wants to go away for one night then you can spend more on activities and partying but 2 nights is more fun and less stress. See what is the most important thing to the bride – is it that she goes to an amazing location or hotel? Or would she prefer something more low key and budget-friendly so everyone can come? Or she might be feeling adventurous as it is her last night of freedom. Work with the bride to create an invite list. It’s likely this won’t be your final number but it will give you an idea of the scale of party you are planning and by having the bride’s input you won’t miss anyone vital from the list! See which dates the bride can do – and the more date options the better so you can pick a time that suits most of the hens. It’s also worth getting a list of “priority guests” that the bride really wants to ensure can come to the hen do so you can find a date that suits them all. It’s time to set up the group chat! Let the hen know the preferred date and consider giving them an indication of the budget you are working towards so they have time to decide whether they can come. The more people in the group the more people will come. Once you have a rough idea of how many people can make your chosen date, it’s time to start researching locations or ask Epic Holidays. Once you have a set location in mind you can start to plan your activities. It may be worth considering the guest list – do you have anyone with any limitations or anyone within the group who is pregnant? It may have an effect on the type of activities you choose. Once you have a set plan and price in place, you can put all these details to the group. In our experience, it’s much easier to go to a large group with a decided plan, rather than trying to work with 20 plus people’s opinions. So long as you, the bride and the other bridesmaids are happy then it’s likely you have a great plan! Epic holidays help massively in this process as he set up a simple plan in advance. 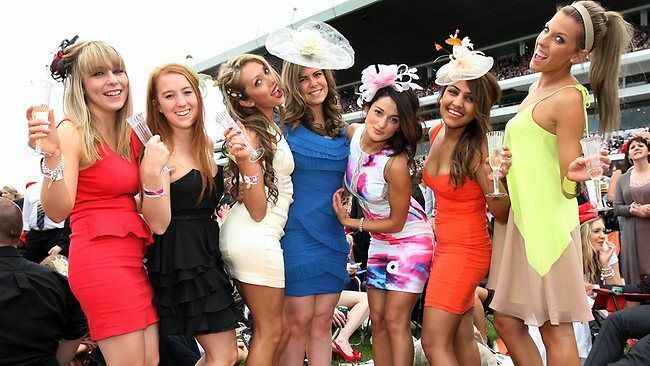 You might get a few dropouts once you have a set date and price for the hen party. So once you have confirmed numbers make it very clear that you are booking on the basis that everyone who has said they will come is actually going to be there. Epic Holidays offers an easy group payment system so best to book as soon as possible and pay off the hens party in instalments. An Epic travel planner can help make it easy and smooth so you can enjoy the experience. Step 9 – Collect the Money or use Epic's easy payment system! Epic Holidays uses a simple pay by group system so you can invite people to the party on the booking platform and monitor who has paid. Normally a $50pp deposit to confirm your spot then pay the rest later. Ask one of our experts for help as our team are always happy to help and there are very few questions we haven't had before. With 10 years of experience, we know a thing or two about building perfect hens party ideas and we know that this isn't just any weekend/night. This is a weekend of awesome proportions and getting it right is crucial and we're happy to help make that happen. 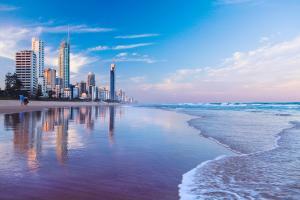 Epic Holidays offer free travel advice so feel free to call or email anytime. For more information visit the Smart Traveler government website. 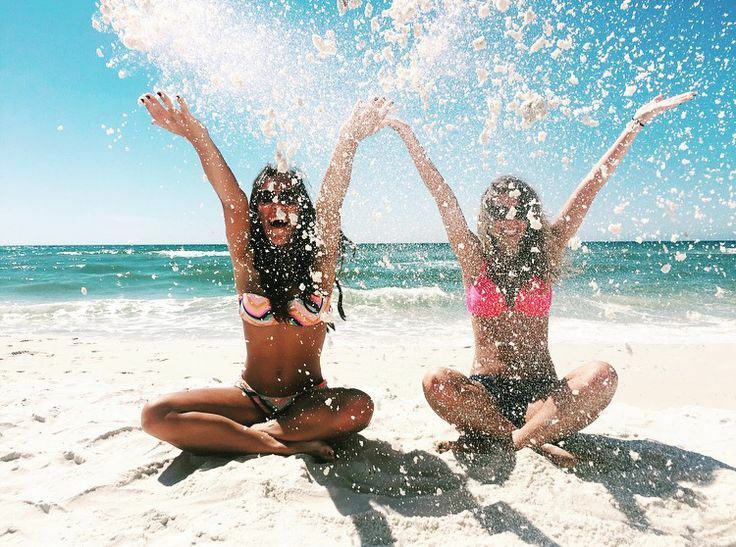 Get a hens company to do the hard work for you and present the hottest bachelorette ideas. "Went away with my mates to watch the footy, best weekend ever"
- 4 Star Ocean View Party Pad! - Choice of fun activities: - Theme Parks, Casino Shows, Wine Tours, SPA Treatments, High Tea, Party Tour, Dancing Class & Horse Riding. - 4 Star Oceanview Party Pad! - 5 Star Spa Treatments (Massages & Facials) - with a glass Bubbly! - Stretch Limousine Nightclub Tour! - Dinner Party With Cocktails! Day Activities: - Theme Parks, Shows, Wine Tours, SPA Treatments, High Tea, Party Tour, Dancing Class & Horse Riding. Features: Close To Bars & Beach, 2 Pools, Tennis, Table Tennis, Gym, Spa & Sauna. Day Activities: - SPA Treatments, Snorkel Adventures, White Water Rafting, Jet Boating, High Tea, Waterfall Adventure, Horse Riding & Yacht Tours. Features: Pool, Bar, and Lounge, Party Hotel, Central close to bars, breakfast included. Day Activities: - SPA Treatments, Ubud Culture Tours, Discount Shopping Tours, Rice Field Tours, Temples Tours And Arts & Crafts, Scuba & Snorkel Adventures, White Water Rafting, Jet Boating, Jet Ski Tours, Water Park, Water Sports Package & Horse Riding Adventure. Features: Pool, Bar, and Lounge, Luxury Party Hotel, Central close to bars, breakfast included. Day Activities: - Kayak Adventure, Scuba & Snorkel Adventures, Surf Adventure, Jet Ski Tours, Sky Dive & Horse Riding. Day Activities: - SPA Treatments, High Tea, Stage Shows, Harbor Bridge Climb, Horse Riding, Jet Boating, Jet Ski Tours & Water Park. Rating: 4+ star – Luxury Penthouse in Sydney. Features – Pool, Gym, Sauna, Steam, Spa, City Views, Bar & Restaurants. Features: Bar, Cinema & Roof Top Sun Deck. Day Activities: - SPA Treatments, Horse Races, Boat Party, High Tea, Wine Tours, Shopping Tours, VIP Champagne Lunch, Party Boat. Rating: 4+ star – Luxury Penthouse in Melbourne. Day Activities: - High Tea, SPA treatments, Ski & SnowBoard (June-Sep), White Water Rafting, Jet Boating, Zip Lining, Bungy Swing, Horse Riding Adventure. Day Activities: - SPA Treatments, High Tea, Maya Bay Tours, Discount Shopping Tours, Phi Phi Island tour, Waterfall Tours, White Water Rafting, Jet Boating, Jet Ski Tours, Water Park, Water Sports Package. Rating: 5 star – Luxury Penthouse in Las Vegas. Features – Pools, Gym, Sauna, Steam, Spa, City Views, Casino, Clubs, Bars & Restaurants. Day Activities: - Shopping Tours, Show Tickets, Thunder Down Under Show, Horse Riding Adventure, SPA treatments, High Tea, & Grand Canyon Tours. Get in touch no matter how crazy your hens party ideas and we will help make it happen for you.